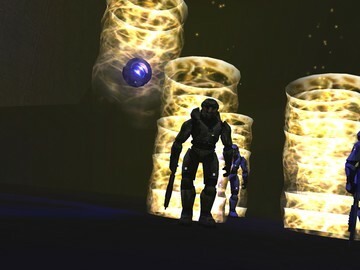 SCR keeps all default Halo 1 elements in, but adds more to expand and refine the gameplay. New weapons, new Covenant ranks, new Flood forms, new allies. For the best possible gameplay experience use an UI that has Campaign enabled and play through all the SCR maps in correct order. SCR is designed to be a campaign that works as a whole. Every level is balanced for fun gameplay that also offers a solid challenge on higher difficulties.